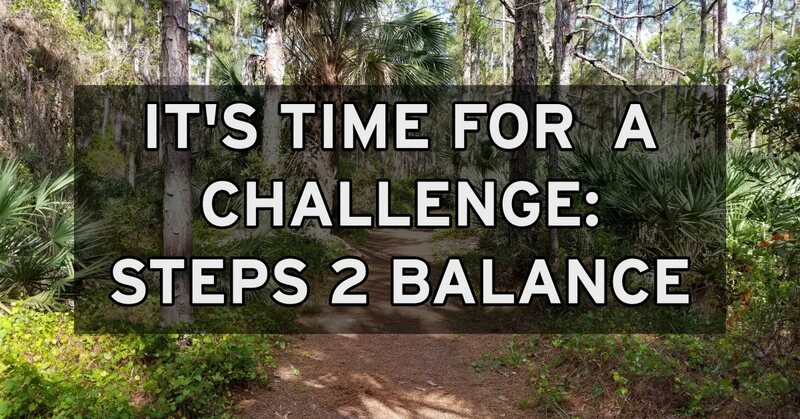 It's Time For a Challenge: Steps 2 Balance! Click here to Register for Steps 2 Balance! Click here to Donate to VEDA in Support of My Campaign! The Vestibular disorders association is hosting a new event next month (May 12-20) called Steps 2 Balance in an effort to raise money and help vestibular patients around the world to achieve their goals. You pay $25 to register for the event (proceeds benefit the Vestibular Disorders Association), you set a difficult personal goal, announce the goal to your friends and family, and then work as hard as you can to achieve it. Steps-2-Balance is about building self-confidence, and showing you that you are capable of so much more than you realize. When you live with a vestibular disorder, life can get pretty difficult. We take a lot for granted when we’re healthy. But the basic components of quality of life can be taken from us. Things like balance, mental clarity, feeling energy when we wake up in the morning, or even the sensation of silence, come with no guarantees. As quality of life slips away, uncertainty and fear slowly replace self-confidence. And it starts to affect every aspect of your day. Even simple tasks like going out for groceries or taking a shower can suddenly become difficult and dangerous. It’s hard to live with that kind of adversity. As challenging as things can get, we aren’t ever powerless. We might be overwhelmed by fear, and stuck with unwanted limitations, but we always have some measure of control over our situation. We can push ourselves to do a little bit more, to be a little bit better, and to fight a little bit harder. Steps-2-Balance is an opportunity to push yourself harder than you have before – to reach deep down within yourself and do something that you thought was impossible. For this year, my goal is a 50 mile bike ride. This translates to more than 3 hours of continuous exercise. When I was first diagnosed with Meniere’s disease, I never thought I’d ride a bike again. I was dizzy all the time, fatigued and brain fogged, and having constant vertigo attacks. There were a lot things I thought I’d never do again. But today, I live a good life. I’ve found ways to manage most of my symptoms and substantially increase my quality of life. So, I’m setting a goal to really push myself. A year ago, I successfully completed my first 50 mile bike ride for the dizzy dash and it was one of the hardest things I’ve ever done. Unfortunately, not too long after, I injured my neck, and I couldn’t ride my bike for a long time. It took months of physical therapy to get back on my bike, and when I finally did, my conditioning was gone. Even an easy 30-minute ride was a struggle. So for the last few months, I’ve been slowly building myself back up. I still have a long way to go, and less than 6 weeks to train. But I’m ready for the challenge! I hope each and every one of you will register for Steps 2 Balance, and really go for it! You just might be surprised at what you’re able to accomplish. Click here to Register for Steps-2-Balance!